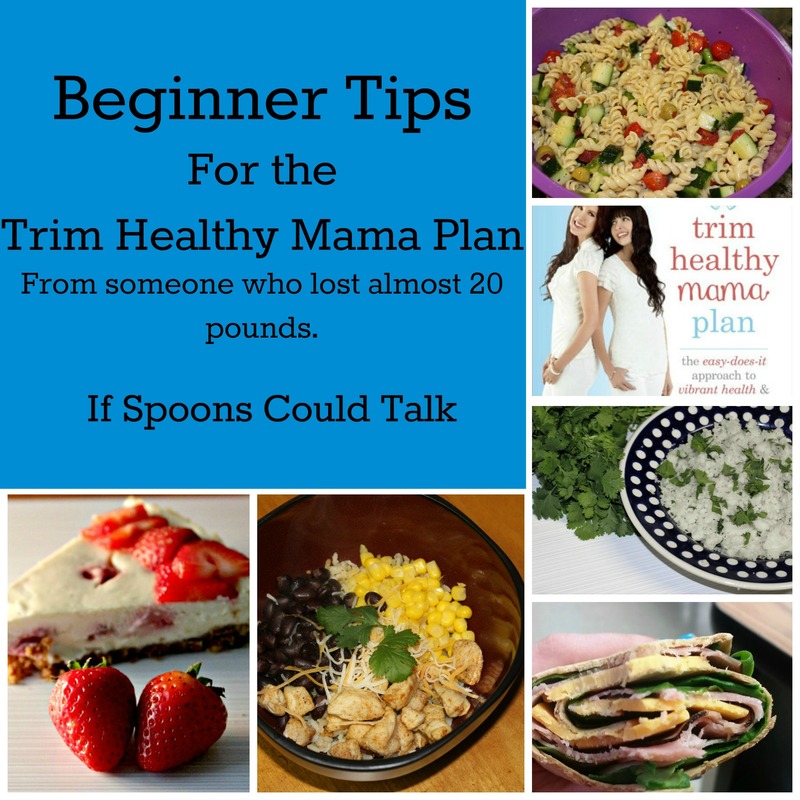 There are multiple tips for beginning the Trim Healthy Mama plan out there but everyone is different and what works for one person may not work for another. I want to share the things that have helped me succeed and some good guidelines to stick with. Let’s first talk about the basics of the plan. It is not a low-carb, low-fat, low-calorie, or low-anything diet. The purpose of this plan is to give yourself food freedom, no counting, no depriving. You get yourself healthier, your blood sugar improves, many numbers at the doctors offices can change for the better and you just happen to lose weight while doing it. When I started I was so focused on dropping the weight that number was all that I was after. I had no idea how crappy I had been feeling, how low on energy I was, or really how the food I ate was affecting me and my life. Once I cut out the junk and started feeding my body what it needed in a way that helped it work better, I felt better than I had in years and if I didn’t lose a single pound I was still happier on this plan then I was before. NO-sugar, white rice, white potatoes, regular flour (including pasta and bread). That is pretty much what you can’t have. Which leaves a huge world of foods that you can have. There are 3 types of meal categories or fuel types. Satisfying (S), Energizing (E), Fuel Pull (FP). Each meal is based around protein, no matter what don’t skip the protein. S meals fuel comes from healthy fats, yup that’s right fats. Healthy Fats help you loose weight and it is very delicious to do so. Some good fat sources are coconut oil, avocado, nuts, butter, dark meats. In these meals many dairy items are allowed including heavy cream and all cheeses. Also, all the non-starchy veggies you want. When you are eating an S meal you will avoid carbs, no brown rice, sweet potatoes or things like that. E meals fuel comes from good carbs. Good carbs are things such as brown rice, sweet potatoes, oatmeal, quinoa, sprouted whole grains. These meals are important to keep your body energized, they also help keep your metabolism revved up. This is from the glucose it is a different fuel for your body then what fat gives it. It is important for your thyroid to not avoid carbs. There is a suggested limit to how many carbs you should have in one meal and that is about 45 grams, to keep your blood sugar from spiking. When eating an E meal the goal is to have less than 5 grams about 1 teaspoon of fat. FP meals are a lower calorie meal that doesn’t have enough carbs to be considered an E or enough fat to be considered an S. So mainly something like a lean protein with non-starchy vegetables that has less than 5 grams of fat. These are good for snacks, desserts, or for a light meal. Alright now that we have the basics of what the meals are covered let’s talk tips. These are some things that have helped me lose almost 20 pounds. Now I only had about 25-30 pounds that I wanted to lose so it took me longer to start seeing the scale drop. Many people who have wanted to lose more have been seen to drop 20 pounds in a few months, for me, it has taken 8 months with some yo-yo. I’m fine with that because when I am on plan I feel much better and that has really become what matters to me. Eat every 3-4 hours. It is important to not get to a point where you are so hungry you feel sick. You should eat enough at each meal that it will cover at least 3 hours. If you are not hungry at 4 hours try and have a small snack just so you don’t get to a 5 or 6 hours with no food. S meals are called satisfying for a reason, eat until you are comfortably full. Be careful using cream and cheese in your S meals. 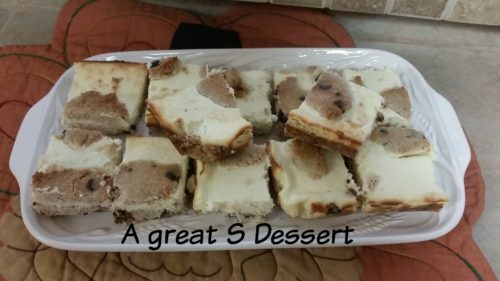 If you are having a decadent dessert every night after a nice S dinner. Then you may be overdoing the freedom that you have on plan. If you start stalling your weight loss dairy is the first place to look. Enjoy what Serene calls Franken foods. Those personal choice items that may not be perfect but will keep you from eating that whole loaf of bread sitting in the cabinet. Joseph’s Pitas, Flat Out wraps have saved me many times. Good Girl Moonshine is my drink. I use a Cesitial Tea usually Raspberry Zinger or Watermelon Lime, Apple Cider Vinegar, powdered ginger, and a little Pyure sweetener. It is my go to, I do not feel hydrated if I don’t have at least one a day. If I really want to drink them I can do 2-3 a day. These help me stay hydrated and less tempted to snack during the day. Dreamfields Pasta. I have loved pasta all my life and seriously ate it at least once a day for a while. It’s easy and tasty and the thought of not having it made me sad. I went a while without any but then decided to try Dreamfields to see if it tasted good. It does, I can’t tell the difference in it and it has let me keep enjoying my pasta nights. There is a coating that helps keep your body from absorbing the carbs so your blood sugar doesn’t spike. (Warning-For some people it will still spike their sugar, if you are eating this often and stop losing, remove it for a while and see what happens. Switch fuels and keep your body guessing. It says this in the book and you hear it often on group boards. It is easy to get in a fuel rut and your body will start storing instead of using the fuel you give it. I prefer an S for breakfast, E for lunch, E or FP for a snack, and an S or E for dinner. Find meals you love and repeat them. I only cook 2-3 meals a week, we eat the same thing two nights a week. This saves on groceries, time, and figuring out what all to eat for the week. Find support. If it is your spouse, family, friends, or people online find someone to go through this with you. We all need support and someone to talk to when you feel like it is too hard. There are so many groups on Facebook that have been helpful to me for help, ideas, and just general questions and motivation. Give yourself Grace. You will mess up, accept that. It’s ok you can start over in 3 hours. Don’t think that one mistake means you blew it and should go crazy for the rest of the day, or week. Every 3 hours you have a chance to start new and keep going. I jumped in feet first and just started. 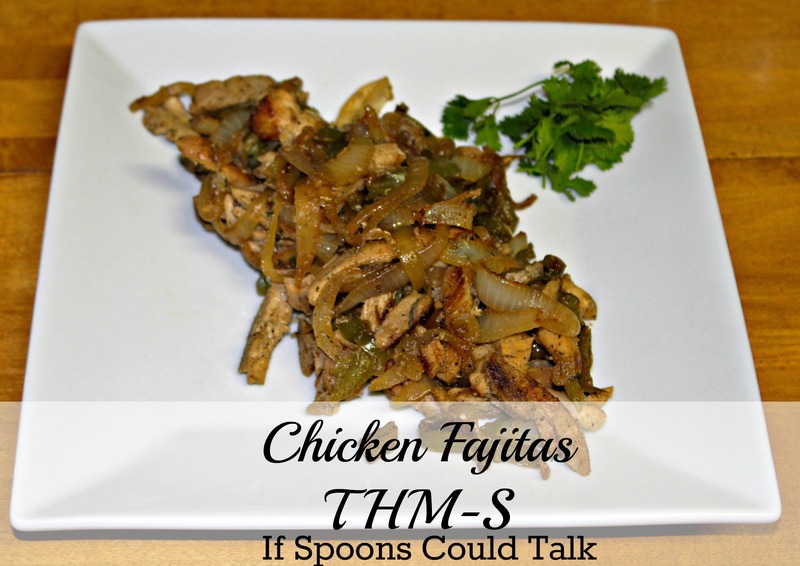 I made a meal plan for the week and went shopping and we started eating the THM way. I got a few things wrong and used both fuels at once (crossover) but it was healthier than what I had been doing. Jump in and just work on it as you go. Take food you already eat and THMify them. If you are eating a lot of meals that have both fats and carbs, remove one and sub with a fuel friendly option. We used to eat a lot of sweet potatoes(E) with chicken thighs (S) now we eat sweet potatoes with chicken breast or chicken thighs and oven fried green beans. Take what you know and make it work. I have used very little special ingredients. I wanted to bake so I got coconut flour and almond flour but they are not necessary. Find a sweetener you like. I love Pyure you can get it from Wal-Mart or order through their website at bulk and get good deals. Celebrate. If it’s your birthday, anniversary, a family members birthday or any special occasion or holiday, celebrate it. If you can make a meal that is on plan and avoid the sugar then go for it. If you can’t that is ok. I started in October, so I had Thanksgiving and Christmas right ahead of me did I avoid everything that wasn’t on plan? No, I enjoyed my meal eating crossovers and then enjoyed a small reasonable piece of dessert. Just don’t go crazy, it will make you feel yucky, but enjoy your special occasions. A plan won’t work for life if you can’t enjoy your cake and cookies. That reminds me skinny chocolate. This has been a huge life saver, you make it so there is no extra sugar and you can add extracts. Even the husband loves this stuff, its magic and curbs any sweet craving you may have. I would add two suggestions: First, refill the ice cube tray immediately. Second, keep up with the dishes. Failure to do these things results in fuss and bother. Those are great tips! We have an ice maker and without it I would never have enough ice! 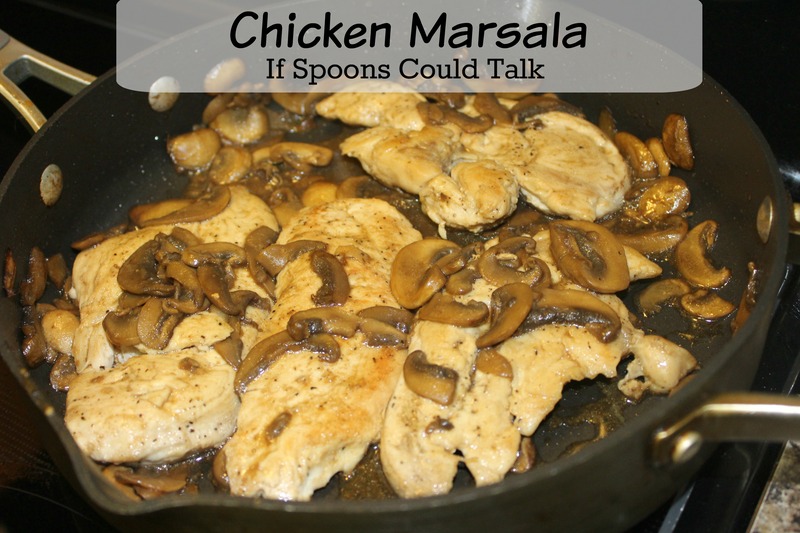 Yes to those dishes, they can add up quick! I’m having a hard time finding Joes pita & wraps. What do I look for? I also having a hard time finding the pasta. Is Jasmine rice on plan? The Pitas and Wraps I find at Wal-Mart but they are over by the deli area, close to the fresh bread. My Wal-Mart has Dreamfields with all the other pasta up on the top shelf. Different stores in the area have different kinds of pasta too, our Neighborhood only has Pene and Spaghetti but the big Super Center has much more options. Any brown rice is on plan. If you can find a variety of Jasmine that is brown then yes, I know it exists but I can never find it. Uncle Bens does have a 90-second pack of Brown Basmati that is really good. Riceland Brown Rice is my favorite though for everyday use. Our Walmart carries the Flatout and Joseph with the hotdog buns. look for the brown jasmine rice in the asian section probably on the bottom shelf. Thats where our Winco keeps it and its spendy. Brown rice pasta is good too. I can find it virtually everywhere now, Ingredients – brown rice and water. Ny husband can’t tell the difference from regular pasta. The Walmart in my city doesn’t carry Joe’s pita’s and wraps. I order mine off of Amazon. If you let the management know that you want them, they may begin to stock them. Is low fat dairy on plan? Or should cheeses be full fat? After years of low- fat indoctrination I am confused. Low Fat or Reduced Fat is ok. I would be cautious and make sure there aren’t any hidden sugars or ingredients that are off plan. In the book, they mention a 1/3 fat cream cheese is just as tasty as regular but has fewer calories. Which even though we don’t count calories we don’t need to go crazy. But regular cheese go ahead and enjoy the full fat versions. And try some Laughing Cow wedges they are great! Remember these would typically be used in S meals, and sparingly in E meals. low fat dairy items are super helpful when making FP or E meals and snacks. But the products can have more fillers and such in them. Awesome! I still learn new things from the community on Facebook. That is great! I don’t ever think to canned breast in the crockpot what a good idea. I’m with you THM for life! This is the best tip I’ve read so far. The whole article (and blog) is good but this one tip really resounds with me. I’ve felt overwhelmed to start but this makes sense. Plan dinners with enough leftovers for lunch. Then the same breakfast every day (or maybe 2 choices). Would hiummus on a wasa cracker be an E meal?? What would avocado on a wasa cracker be? Yes hummus that has less then 5g fat can be ate on wasa crackers for an E, typically you would be better off making your own,as many of the store brands are Crossovers. You can have 3-4 rye or sourdough wasa in an E meal. Avocado will make an S meal. You can have 1-2 wasa in an S.
Your new blog is looking awesome girl! Congrats! Looking forward to reading posts to come! I think it’s great that you didn’t use many special ingredients. Of all things on the plan this intimidates me the most even though the book says they should not and there are obviously plenty of recipes that do not require them! Will try Pyure Stevia as well! Thanks for your tips! They help some people and work well for them but I just don’t want to spend that extra money on them, so I make it work without them. Don’t let it intimidate you, you can do it. Pyure is my favorite! What does THM do for coffee syrups like hazlenut? I know store versions have a lot of preservatives. you can buy natural flavorings, just like you can buy vanilla extract you can buy hazelnut and butter and caramel. Just make sure find a good brand thats not artificial. THM brand just released their own line of extracts. I don’t have the books yet but trying to do recipes I’ve gotten on line. I get the concept. I just tried the berry whip and I cant get it smooth or whipped. What are your secrets? I have actually never made berry whip before. If you are on facebook the Beginners group would be a great place to ask. How in the neck does one know to do which meal????? You choose based on what you want. S meals are typically more common but don’t forget to add in about 3-5 E meals a week. In the book, they call it Freestyling you do what works for you. If you don’t have the book I would highly suggest it since it explains in more detail. This is very helpful. How often do you update your site? I post about twice a week. Life got a little turned around this summer and I haven’t been as on top of it. But I will start being more consistent soon Tuesday and Thursday are my post days. I’m a little confused by my E breakfast- I know 0% greek yogurt is my protein source at 29gm protein/cup, but am I supposed to count the carb grams in my 0% greek yogurt? I’m trying to stay on the lower end of the 20-45 gm alotment for an E meal because I’m so carb sensitive, so it helps to know what else I can pair with it. Also, I don’t find anywhere if there’s a protein amount per meal/snack you should shoot for. Just a guestimate- I don’t count anything really- just need to be knowlegeable. Thanks for the tips! Love THM so far! You won’t count the carbs in your protein source. A great add to yogurt is fruit,like Apple slices. Carbs are important for energy so while sticking to the lower end should be fine make sure you are getting enough E Meals a week. As for protein the only time you need to keep an eye on amount is if you are in a fuel cycle and eating fuel pull then I want to say it’s about 4oz, but I’m not 100% sure on that. I never count anything really you should have enough protein to be full for 3 hours and that can be different for everyone. I feel soooo lost! I get my book on Saturday and I really want to start that day too since it’s the first of the month. Can you tell me what I should eat for the first two days (by then I’m hoping I’ve figured out enough). I’ll google some ideas, but really I don’t want recipes. I just want basic things. I would start the first two days on a deep S to help get you started detox and flush out some fat. If you plan to jump all in at first then it will take some planning ahead of time, or you can ease your way in a meal at a time. I jumped all in at once, you will probably mess up and that is fine do not stress over it Deep S is all good fats limit dairy and no carbs, Breakfast I do every day is coconut oil and fry/scramble two eggs, and 2 slices of bacon. Lunch would be something like non starch veggies and meat it can be any meat you want cooked in coconut oil or a green leafy salad. Dinner could be any meat cooked in coconut oil with veggies or a big salad. Now you will want to add in E meals with lean meat brown rice, sweet potato or other good carb listed in the book. E meals are very important to the plan for energy and helping you shed those pounds. The only reason I would say to avoid them the first couple days is to help the detox process. For a regular day I eat a Deep S breakfast, E lunch, E or S snack and a S dinner. This has kept me losing at a good pace and maintain when I want. The book will explain all of this and make it easier to understand as well. If you take the foods in the fuel list and just pair them up as you like then you don’t need a recipe to make your menu. I wish you the best of luck and you can email me at any time or comment on here as needed. There is also a Facebook group full of people asking questions and answering them. Also check out my Fuel Cycle review to see Deep S foods. Do not do a fuel cycle until you have been on plan for at least three months and are at a stall. You mention eating 2 slices of bacon a day. What brand of bacon do you use that doesn’t have sugar? Were do you buy it? My cardiologist told me to stay away from coconut oil. I’ve had 2 heart attack and a double bi pass. So other than coconut oil what do I use? Can’t have white dairy, cottage cheese, yogurt, cream cheese, sour cream.. lactose intolerant so would love to make the whip desserts and others but can’t and this is rally sad. Have never had anyone actually help me on substituted foods. I know there is an allergy site, been there to no avail. Maybe you can help. Whip the coconut cream. You can buy coconut cream or just take the solids from canned coconut. Put it in the fridge to get cold, put your metal bowl and beaters from your hand mixer in the freezer and let them get super cold. When everything is good and cold, pour the coconut cream into the metal bowl and whip it until it thickens up. you can add stevia or whatever sweetener you prefer and a little vanilla. I use this for berries and I put it in my coffee sometimes for the frothy-ness. It does take a while to thicken but it will not get like whipping cream does. Give it a try. that should say canned coconut milk! OK, you’ve convinced me. I’ve been checking out THM but wasn’t sure I could follow it. I’m gonna do it! Thanks Renee! You can do it! If you need help feel free to email me! Also there are a lot of groups on Facebook that are so helpful and friendly. Good Luck on your journey. In the book it says dark rye bread is ok for an e meal…is pumpernickel bread on plan? Pumpernickel is usually made by adding molasses to dark rye bread. Which in what I can find would make it not on plan. I am not 100% sure on that and will double check and get back to you. When you are using pyure in recipes do you use the same measurement as THM cookbook calls for when they use their stevia? I start with a tablespoon and adjust based on taste. Is any sourdough bread ok? Hi Renee…..I’ve just started reading the book & have ordered the cookbook…. There is a list of foods for each fuel type in the book. In the tab at the top of the page THM Resources I have a post for each fuel with their foods. is ham and cheese wrap (real sliced cheese) maybe 4 wraps…3oz meat 3 oz cheese -a complete “s” meal – we sometimes don’t get actual breaks or lunch? So, I eat on the fly quite often. Also, where does A homemade yogurt (maybe a cup) and berries fit in as a classification? I’m not sure if that would be enough fat to count as an S. But if it makes you full then I would count it as a S.
Yogurt and berries would be an E.
I have been searching for some tips to help me get started because I’m confused on what to eat together. Read the book about a month ago, and still trying to get started! I would love a list of carbs and fats, so I would know what NOT to eat together. This has been helpful and I am going to start plannning today! Thanks. I have food lists in the THM Resource tab above. Is there a gluten free pasta (like brown rice pasta) that is allowed? There is grain free pasta (Banza brand made from chickpeas and also one from lentils). Are these on plan? Thanks. There are pastas that would be considered personal choice but would still be on plan. Thank you for this information. I’m just starting THM. my sister has been cooking for me for the last 76 days & I’ve lost 28 lbs. Now I’m on my own and struggling to get started. It’s good to have new ideas and to have some of my choices confirmed. I also want to lose about 30 pounds, have lost about 5, but it’s been close to a month. Feeling better/more energy is just as important to me though. I have no known serious health issues but just don’t have the ‘pep’ I know I used to have. How long until you noticed real change in how you felt? I am wondering if Icelandic yogurt (Skyrr) is okay to eat on THM or does it have to be Greek yogurt?